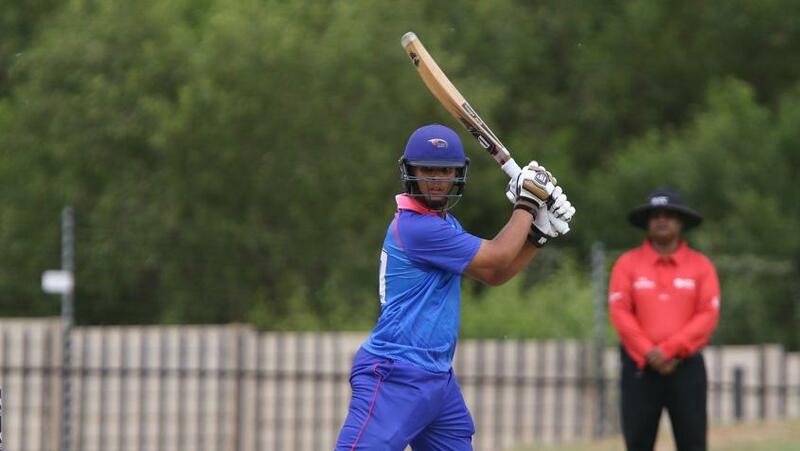 Ramon Wilmot scored the first century of the ICC U19 Cricket World Cup Africa Qualifier 2019 in Windhoek, as he helped the hosts bounce back immediately from a loss to Nigeria on day one. Ramon Wilmot scored the first century of the ICC Under-19 Cricket World Cup Africa Qualifier in Windhoek, as he helped the hosts bounce back immediately from a loss to Nigeria on day one. 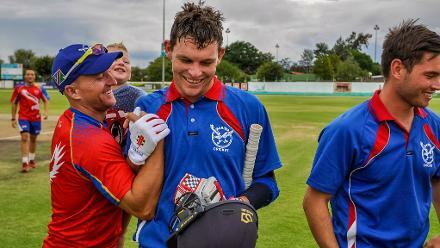 The second day of the tournament saw Namibia rack up 296/7 against Tanzania, with 16-year-old Wilmot clubbing 132 from just 122 balls. He struck 16 boundaries and four sixes, as the hosts showed that they are still contenders. In response, Tanzania were blown away for just 46. Jan-Izak de Villiers started the carnage, with a new-ball spell that garnered 3/8 in five excellent overs. Mauritius Ngupita kept up his fine form, wrapping matters up quickly, with 4/12 in 4.1 overs, as Namibia romped to a massive, 250-run win. Batting first, Nigeria notched 201/4. Olayinke Olaleye struck a well-paced 73, while captain Sylvester Okpe also passed the 50-mark, in another team performance. Kenya battled gamely, but were restricted to 143/9. The wickets were shared around, as Nigeria again emphasised the sincerity of their ambitions this week. In the third fixture of the second day, Uganda got the better of Sierra Leone, prevailing by 75 runs. Munir Ismail was the glue, with a steady 73*. He kept the innings together, the team eventually reaching a total of 211/9. Simon Okecho and Cosmas Kweyuta both added scores of 33 to lend support to Ismail. Fifteen-year-old Samuel Conteh was the bright light for Sierra Leone, with figures of 5/48 in nine overs. The chase was hard work for the young Sierra Leone outfit, and 14-year-old Eric Turay (32) tried to lay the foundation upfront. Skipper George Ngegba came in the middle order and tried to stabilise matters, but his 34* was in vain. Sierra Leone were bowled out for 136, to eventually fall short by 75 runs. Frank Akankwasa was again in the wickets, with a rich haul of 4/22. The action resumes on Wednesday with a top-of-the-table clash between Nigeria and Uganda. Namibia face Sierra Leone while Kenya battle Tanzania.